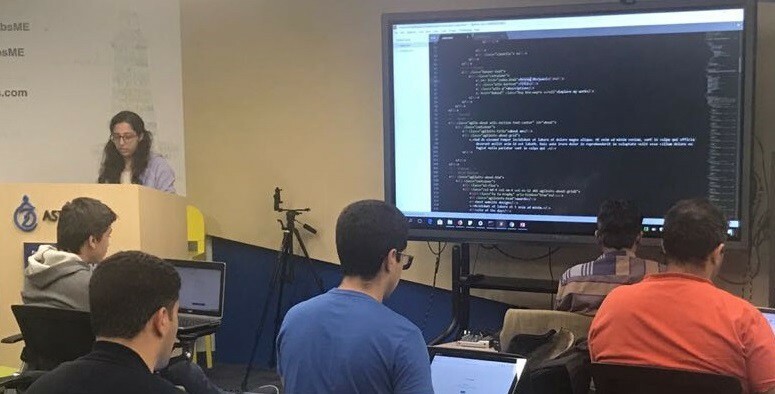 To bridge the skill gap that exists within the developer community in the U.A.E., the Developer Experience team at IBM has partnered with AstroLabs to run a series of development tracks called ‘Coffee & Code’. The ‘Coffee & Code’ sessions are very casual and community-oriented meetups where developers of any level of expertise come together every two weeks to learn, teach and collaborate on any form of technology that interests them. We decided to launch the series by starting off with basics. The first session, held on the 13th of February at AstroLabs, covered topics in ‘Web Development and Deployment’. The evening commenced with a warm welcome by the AstroLabs team followed by Alexander Al Basosi, from DevEx, giving a lightning talk on HTML and CSS. I then advanced the session with some live coding, demonstrating how to build and deploy a portfolio website on IBM Cloud. The attendees, following along, saw how easy it was to customize web pages and publish them with a click of a button. Next, Hussam Mohsineh, who works with startups, incubators and accelerators to help them define their agenda, took over and split the attendees into groups based on their areas of interest. He asked them to come up with an idea which they would work on and build over subsequent ‘Coffee & Code’ sessions. He guided them on how to go from planning to prototyping efficiently. If you missed this meetup, don’t worry! More are on their way. Upcoming sessions will cover: best practices in development, UI/UX, back-end development, databases, testing, debugging and more.